All the listening, questioning and supporting in the world won’t do you a darn bit of good if you can’t close. Ever seen the movie Boiler Room? 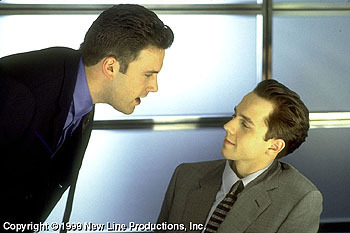 Ben Affleck’s character give a little speech towards the front of the movie on sales tactics. He mentions the old standby. ABC; (A)lways (B)e (C)losing. If you aren’t closing the sale, you’re wasting your time and your customer’s. Think of the previous skills as the appetizers in a meal. Closing and Follow-Up are the meat and potatoes. The bulk of the project. Closing and Follow-Up are just another way of saying “ask for the sale”. With many of your customers, you’ll need to ask for the sale. Some will buy without you needing to ask, but most will still need to be asked. Asking for a sale can also be a great way to uncover any other objections that a customer may have. How do you ask for the sale? Start by going over the previously agreed upon benefits of the product. Review how the product meets the established needs of the customer. Then (you guessed it.) just ask for the sale. Give your customer the opportunity to reach for that wallet.